Dr. Jeff had long known he wanted to go into a health profession. He was struck by the idea of healing from the inside out. ‘’If our nervous systems are designed to heal and regulate, why not start there? Step one should be locating the disturbances in the nervous system so that the body can heal itself.” Blown away by finding out about the many benefits of chiropractic, Dr. Jeff decided to become a chiropractor. Dr. Jeff earned his undergraduate degree at the University of Wisconsin-Platteville. He then continued his education at Logan College of Chiropractic just outside of St. Louis, Missouri. Their peaceful atmosphere on 112 acres was complemented by the professors Dr. Jeff learned from, who put every effort into helping their students succeed. After his graduation, he worked for his wife’s chiropractor uncle for a time to learn the ropes. Then, he worked in Madison at a high-volume clinic before moving back home to serve the Platteville area. Dr. Jeff has training in spinal decompression, pregnancy care and pediatrics. He’s also certified in Nutritional Counseling by the state of Wisconsin and has received certification to provide Department of Transportation physical examinations. 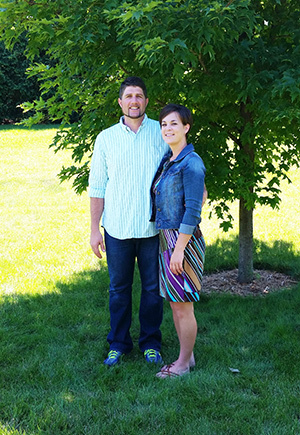 Dr. Jeff and his wife married in 2002 after meeting at UW – Platteville and have four young daughters together. His wife is from Lancaster, and they love living in our community. Their active family loves biking, boating, traveling and other seasonal outdoor activities. Just being together and watching our family grow is priceless! We welcome the opportunity to meet your family and find out how we may be able to improve your quality of life. Contact us today! On-site X-ray facilities are available.